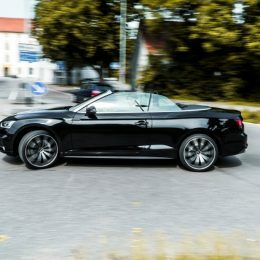 The word cabriolet originates from French and in its broadest possible sense means to do a jump in the air. 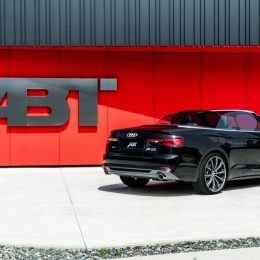 And the new Audi A5 cabriolet will do a real jump in terms of power after a visit to ABT Sportsline based in Bavaria. 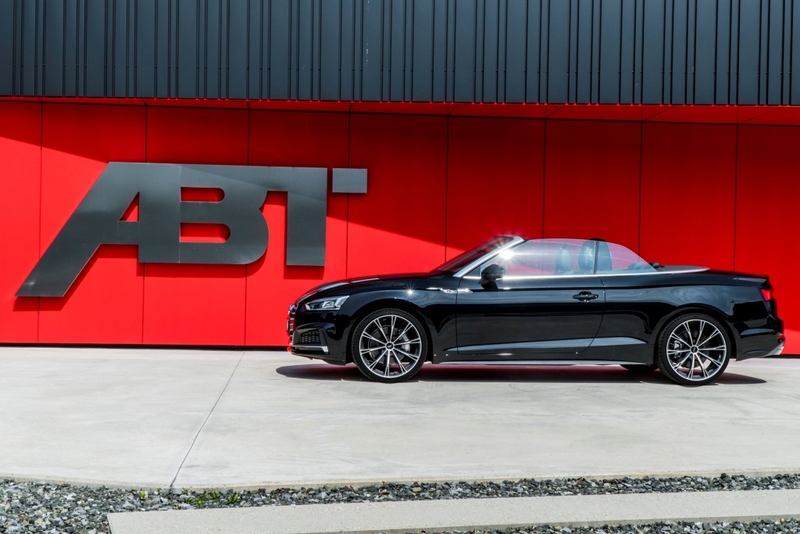 A specially developed control unit enables the ABT Power ‘New Generation’ to increase the performance of the elegant convertible with its 2.0 TFSI engine to reach 330 HP (243 kW). 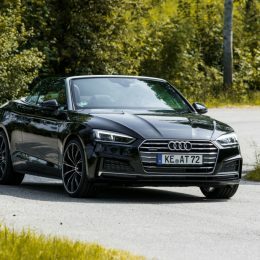 Compared to the series 252 HP (185 kW), this equates to an increase of more than 30 percent and is almost on a par with the S5 and its significantly higher displacement. 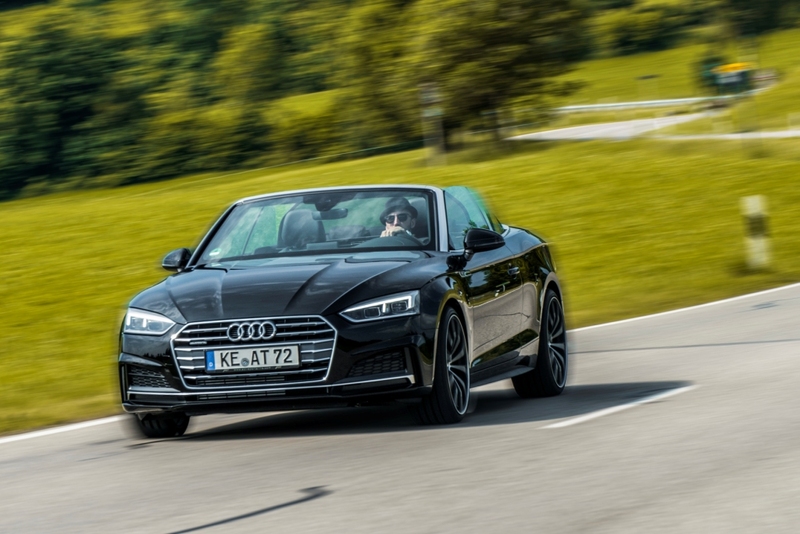 At the same time, the maximum torque for the 2.0 TFSI has soared from 370 to 440 Nm. 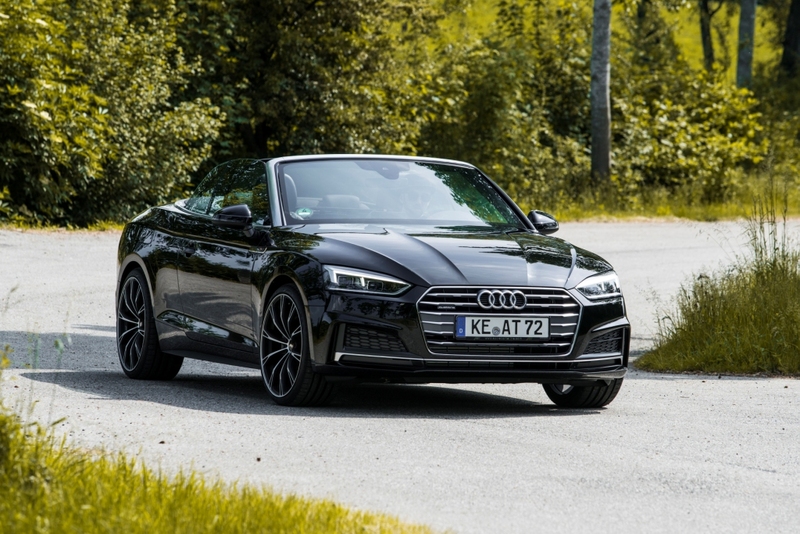 However, diesel fans do not need to feel left out. 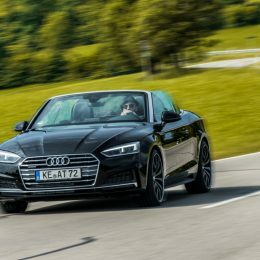 “We also have a performance package for the diesel engines with two and three liter displacement”, says Managing Director Hans-Jürgen Abt. 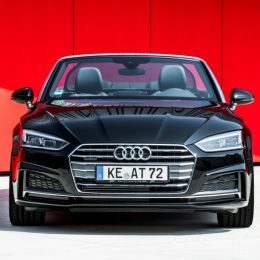 The smaller of the two diesel engines is available as standard with only 190 HP (140 kW), but this can be tuned to reach 215 HP (158 kW). 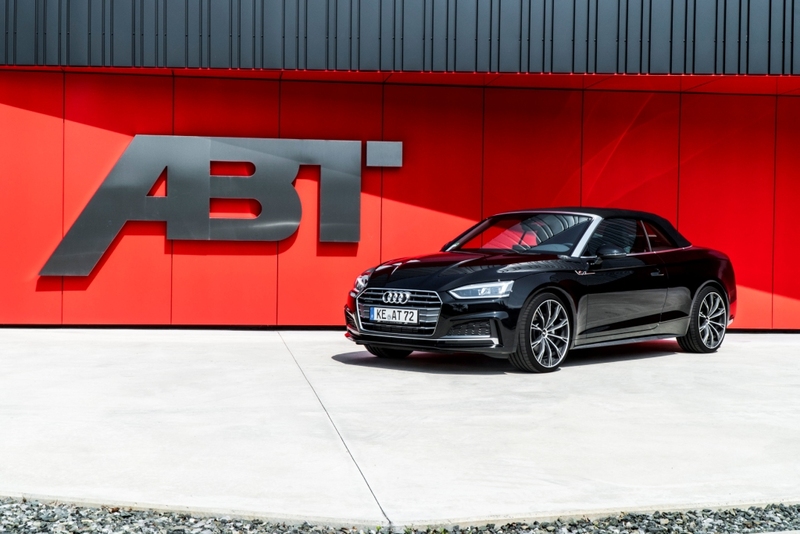 The maximum torque is boosted too from 400 to 440 Nm and as a result matches the level of the petrol engine after enhancing its power by ABT. 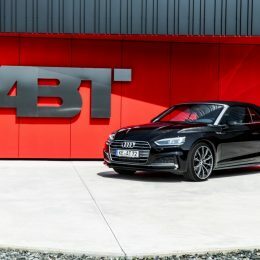 The three liter diesel engine ‘tweaked’ by the world’s largest VW and Audi tuner has even more grunt reaching a staggering maximum torque of 450 Nm, with the standard version peaking at only 400 Nm. 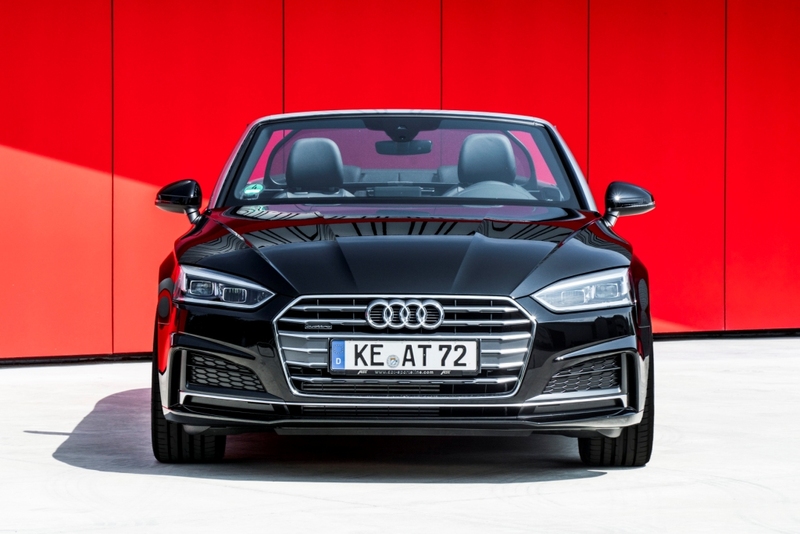 The difference in HP is even greater by contrast with the ‘smaller brother’, the 2.0 TDI. 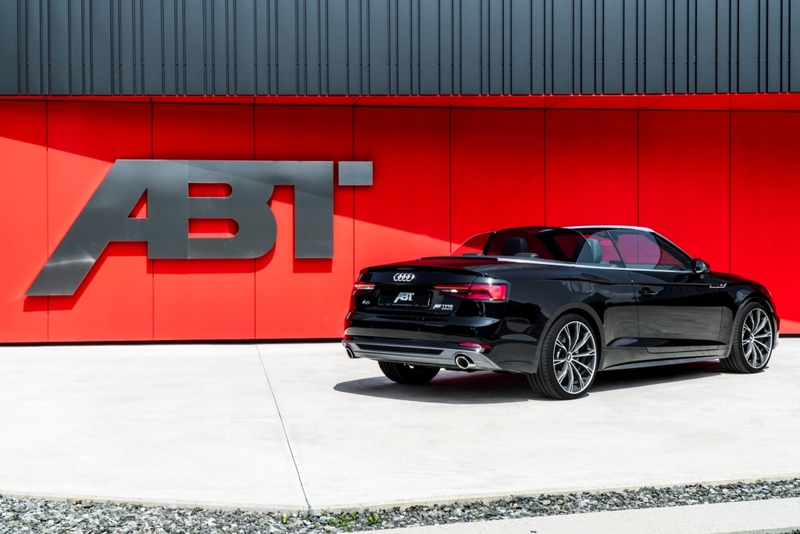 ABT transforms the 3.0 TDI from having an output of 218 HP (160 kW) to an impressive 250 horsepower (184 kW). 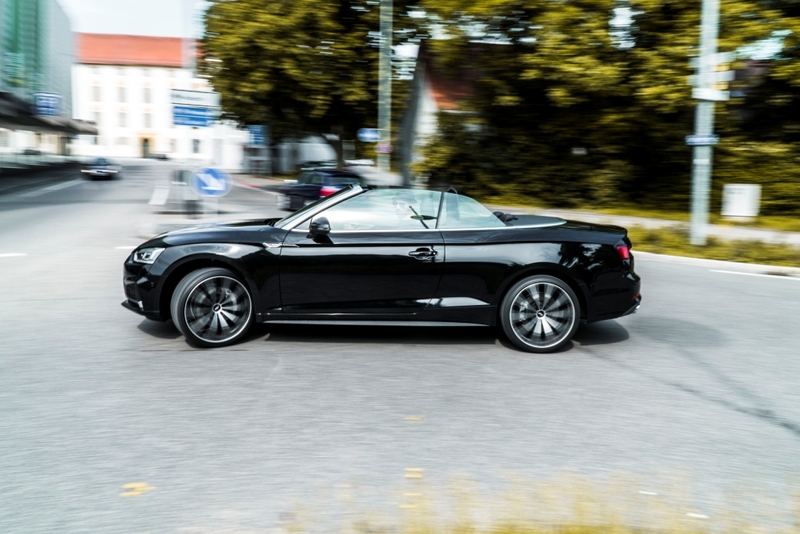 Gun-metal and silverbullet all the way up to matt black and glossy black. Several designs also have a diamond machined finish on part of the surfaces. 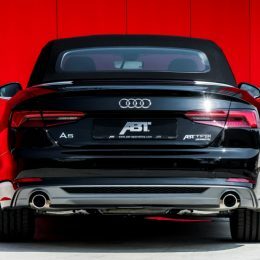 The alloy wheels listed are available as complete wheel sets with the matching high-performance tires as an option. 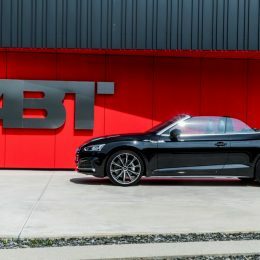 And as the high-end rubber from Dunlop and Continental is much too good to nonchalantly leave a stamp on the asphalt, this job is filled by the integrated entrance light available as an optional extra: This subtly projects the ABT logo on to the ground when entering and exiting the vehicle by means of LEDs. 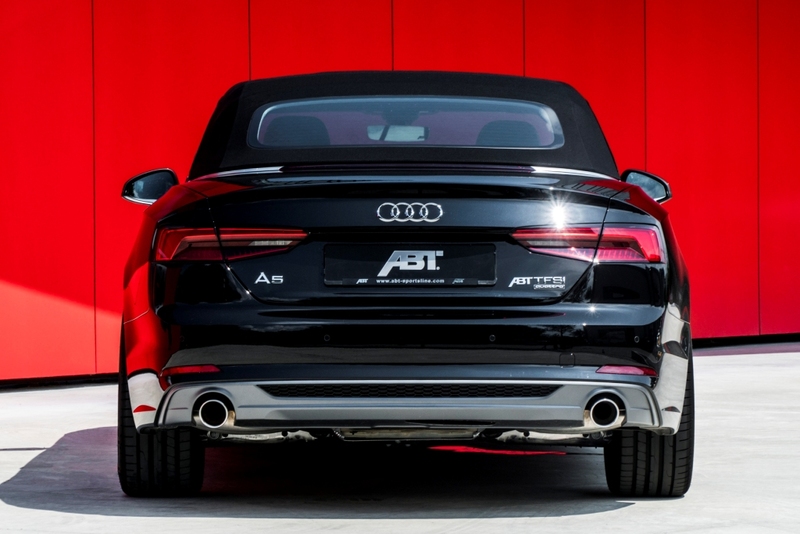 The only thing to make happiness complete are the ABT floor mats available in velour.